A blog about random family happenings, recipe creations and occasionally a rant or rave about life in general. This recipe was shared with us through my cousin-in-law's mom who's from the Philippines (Hi Christina and Beth!). 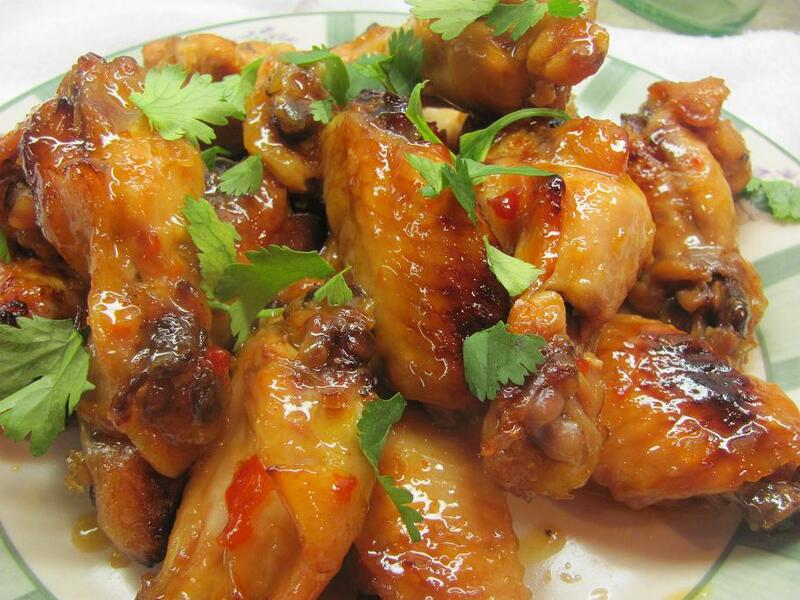 We actually call these "chinese chicken wings", but technically speaking, they should be Thai Chicken Wings. Whatever you wanna call these babies, is fine with me! These are so tasty and super EASY! You only need two ingredients. How much easier does it get??? 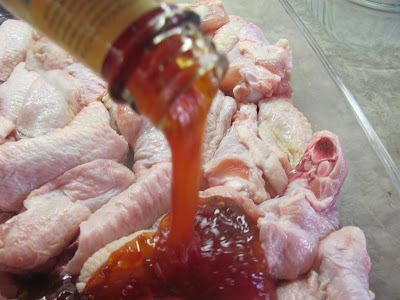 Prep your chicken wings. I cut the tips off and keep them for chicken stock. 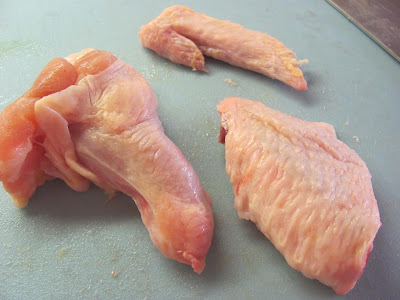 Cut the wings at the joint to make a flat and a drummette. 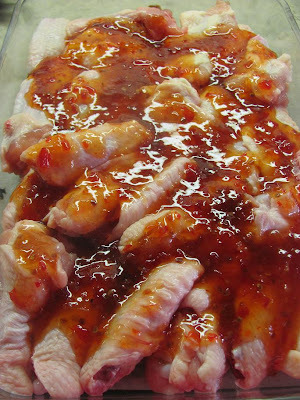 Place chicken wing pieces in a 13x9 dish and pour the sauce on top. Toss the wings in the sauce to make sure everything is coated. Then arrange them in a single layer as best you can. Bake at 375 degrees F for 30 minutes. Toss and turn them over and continue baking for another 10-15 minutes. Sprinkle some torn cilantro over the wings and serve. These are so yummy and sticky, pretty much finger lickin' good! That's it! Super easy and super tasty. Wow that looks so good, and super super easy. Love that!! I bet everyone gobbled those up. How delicious are these! I will be looking for a bottle of that sauce! What a sweet place you have here! I also perused you crafty blog. I am so happy you left a comment on my blog so I could come by and visit with you! 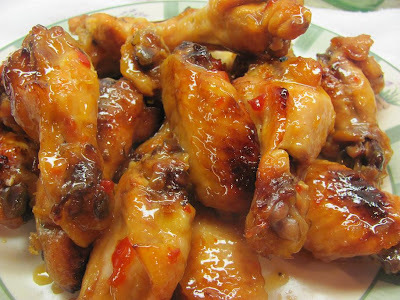 Oh my, these Asian Wings look finger-licking delicious! I gotta try it soon. 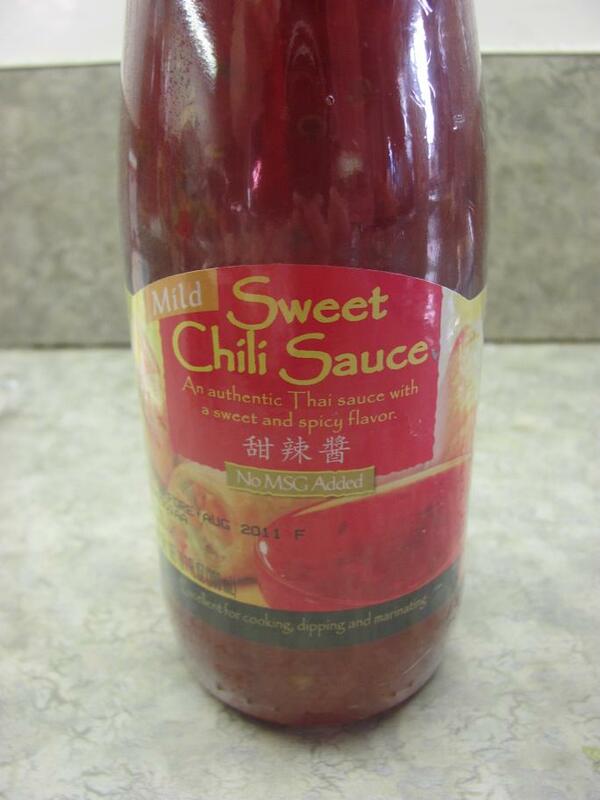 The sweet chili sauce is one of my favortie sauce to use and cook with too! They are delicious! Awe! That looks so delicious and I am like drooling. Chicken wings are my favorite and then with Sweet Chile Sauce, divine! :) Yummy! Looks so good and tasty. wow! looks like it was prepared at a resto :-); sounds yummy! thanks for sharing the recipe...will absolutely try it...! I just shared this on my blog, with a link to you! They look amazing. I am the mommy to 3 precious children. I'm learning the frugal life through coupons and gardening. 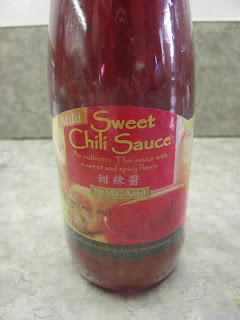 I'm sharing recipes I find and concoct using ingredients I get on the cheap. Sometimes I share tidbits from my crazy life as a stay-at-home mommy. I hope you'll pull up a chair and stay awhile... You may contact me via email: sweetdarlin25(at)yahoo(dot)com. I love to hear from all of you, so feel free to comment. Many of you may stumble upon my blog for the first time, or you might be regular readers. I wanted to make sure you understood the "Support This Blog" feature in the right side bar. These are companies, should you decide to click through from my blog to their site and purchase something, I will receive a very small compensation from them. and 6pm.com are the most popular sites I advertise for. They offer weekly deals and are usually ones I want to pass on to my readers. I would appreciate your "link love" by clicking through from my blog. However, if you choose not to, you can always go directly to the sites themselves. The FTC requires bloggers like myself to disclose this information to our readers.